Psychological antecedents and motivational models of collective action. Examining the role of perceived effectiveness in political protest participation. Social Movement Studies. Media use and the Social Identity Model of Collective Action: Examining the roles of online alternative news and social media news. Journalism & Mass Communication Quarterly. Social network sites and political engagement: Exploring the impact of Facebook connections and uses on political protest and participation. Mass Communication & Society. Links to articles are in the “Research” section. Actually, it is only when I entered the articles into this site that I realized that many of my paper titles follow the same style — which is basically “Cause + Effect: Examining/Exploring the role/impact of IV on DV”! Maybe I have to be more imaginative with my future titles? 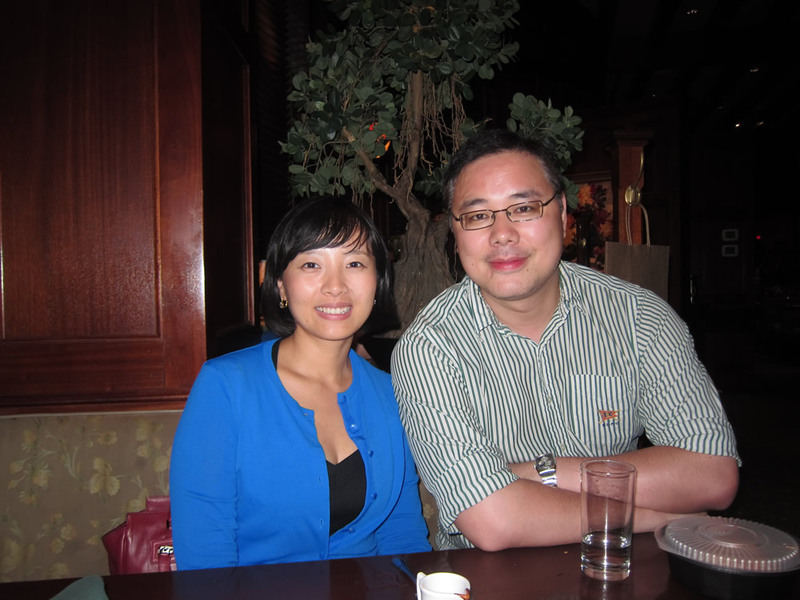 Nice to meet up again with my co-author Jing Guo after three years. When we first met at the AEJMC 2010 conference we were still somewhat fresh PhD students! Jing has since graduated from the University Of Maryland.